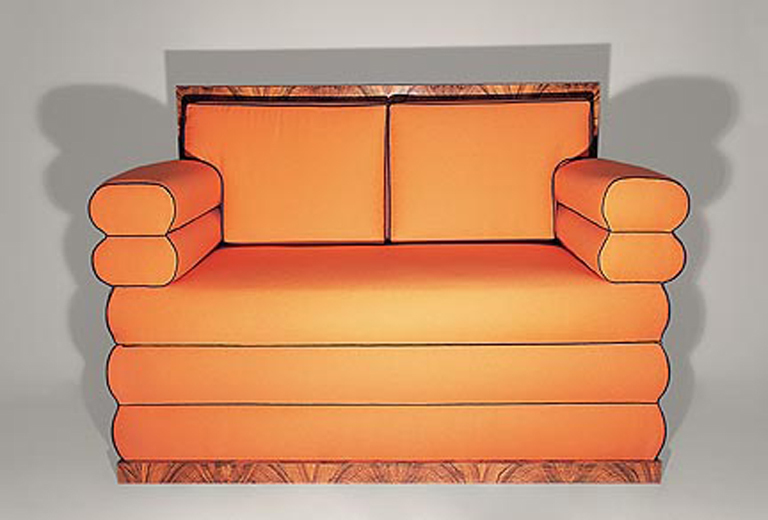 This startling modern-looking settee represents the pure approach to design and style that characterized the Biedermeier period around 1820. Examples such as this may be seen as a precursor to Modernism. Binggeli, Corky. Interior Design: A Survey. Hoboken, New Jersey: John Wiley & Sons, 2007, color illus. p. 160.